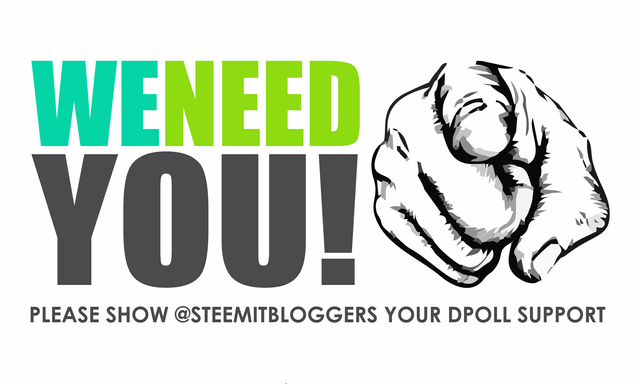 WHY YOU SHOULD VOTE FOR THE @STEEMITBLOGGERS IN THE 20K #STEEM DPOLLsteemCreated with Sketch. Already voted for you guys! I like how many @steemitbloggers members are also active in many other community endeavors... and you help people who are not part of your group, too. THAT is cool! Thank you very much for the support @amico :) We really appreciate it! Thank you @donnadavisart and @reinhard-schmid - Really appreciate the support! Right, I see @steemitbloggers as a nexus where many paths meet. Members of the #powerhousecreatives do go on a lot of paths of their own, spreading ties among other communities. At least this is one of my goals. Alright, compare it to this decentralized thingy and those... nodes. So here's a live, pulsing, full of active people. Beams, coming out of it touching a lot of other nodes. We're going to push our way to the top on this one. Thank you! Really appreciate the support! Your support in this has been invaluable!!! Thank you!!!! how do I find you on discord? Maybe I need my coffee first, because right now, this sounds confusing. I came here because of @reinhard-schmid and am chasing around in circles, like a dog chasing its tail. Hi :) I will put an invite post out once this poll chaos is over haha!!! Thank you very much for the support in the interim! We GREATLY appreciate it!!! got it. Reinhard put me in ....... now I have to figure out how I can be useful.